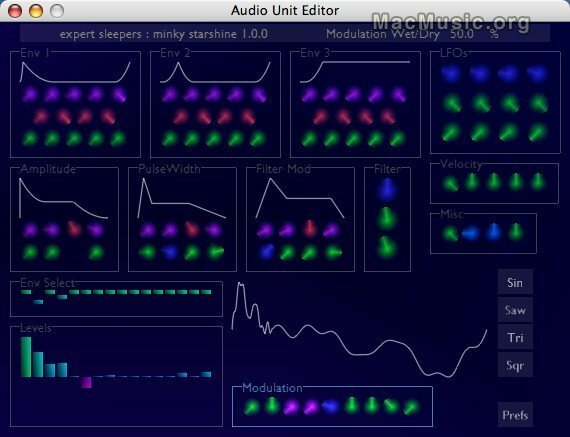 Minky Starshine v1.0 beta 1 by Expert Sleepers is a new additive and subtractive hybrid synth available in Audio Unit format for Mac OS X. It allows user to control 16 independent partials and to assign them to three groups (each group has an envelope generator and an LFO). A resonant filter is available and a flexible modulation section too (with chorus, flange and delay effects). This beta version will expire at the end of November 2004.